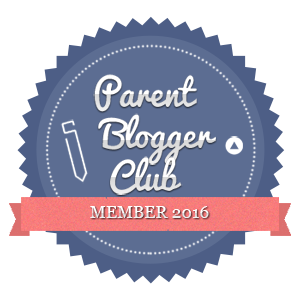 The little man is obsessed with Slush and we’ve tried various ways to make them at home with no joy. 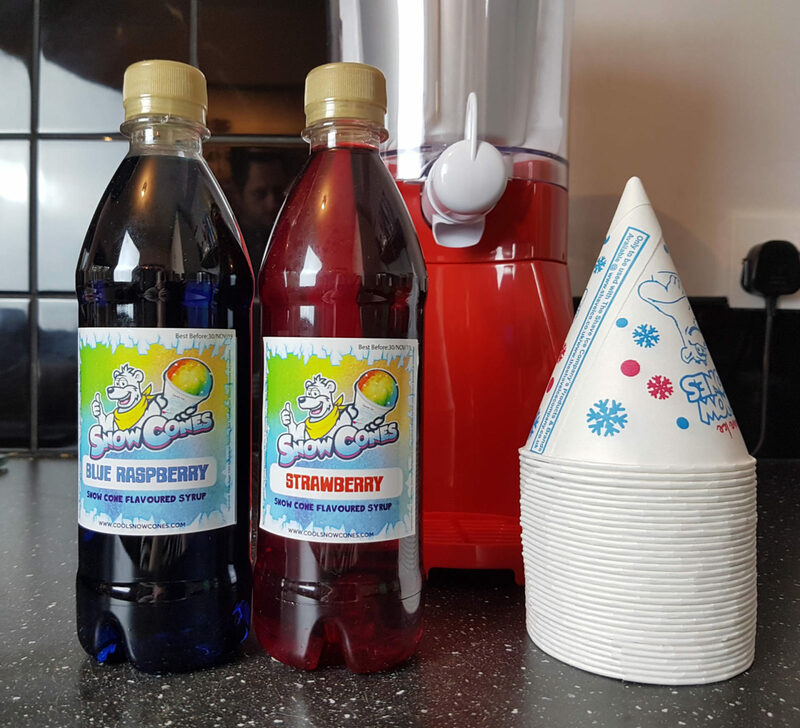 We were recently sent the Retro Slushie maker from Prezzybox and he’s been in his absolute element. 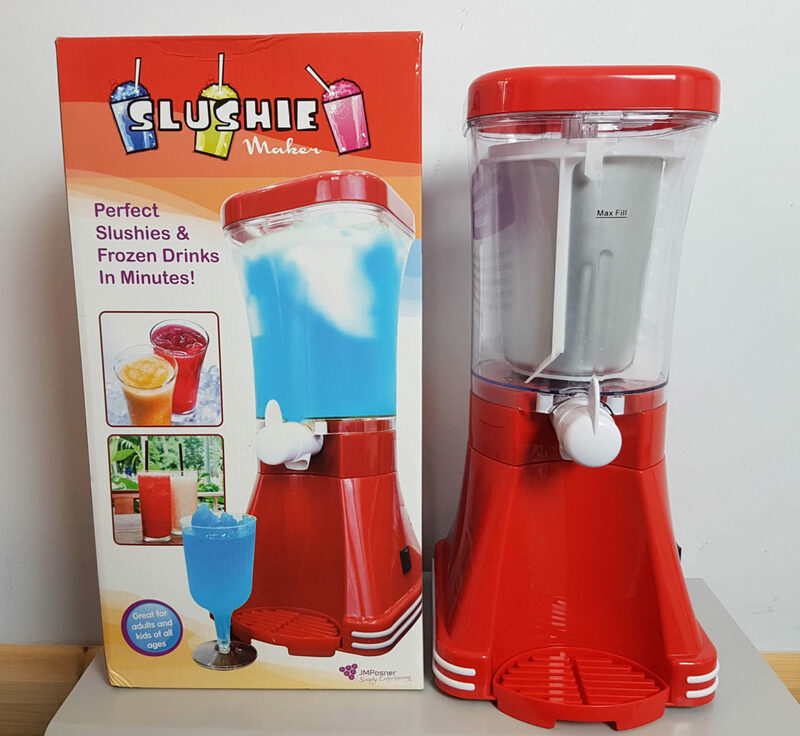 The Slushie maker looks a lot like a food mixer and is around the same kind of size. It’s narrow enough to stand easily on your bench but you’ll need a relatively tall space if you want to put it away in a cupboard. It’s made from plastic but seems pretty robust. It doesn’t have a lot of complicated switches or buttons, just a small switch on the right hand side and the the release lever on the front. 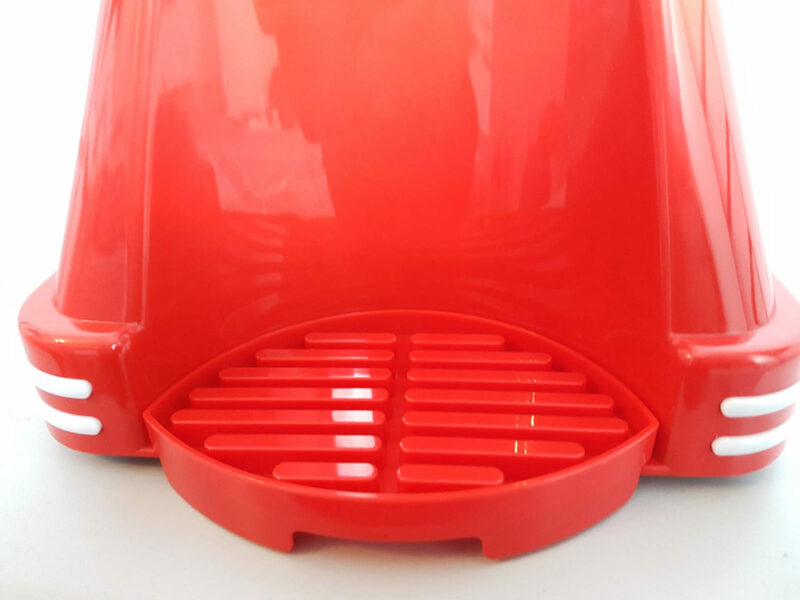 The Slushie maker is easy to clean and there are no awkward gaps or crevices, it has a drip dray at the front which is very handy when you’re pouring out your slush. 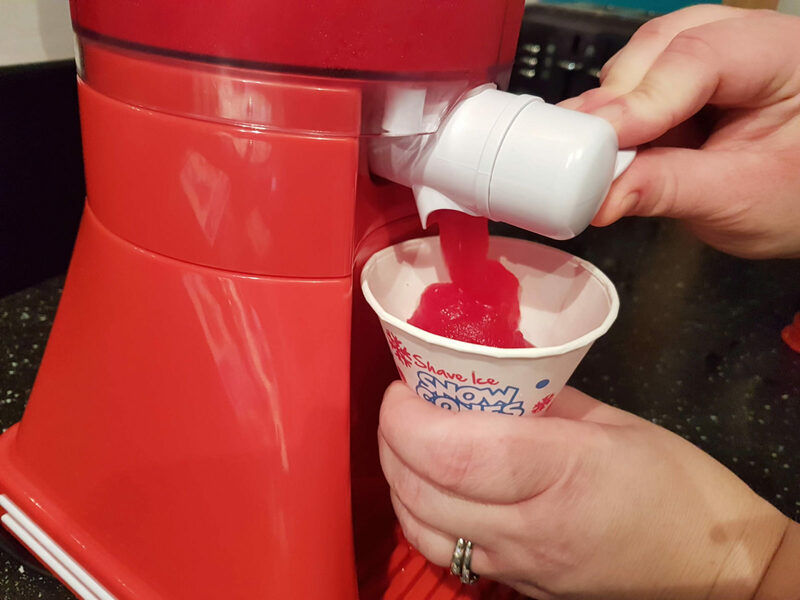 Before you start to make anything with your Slushie maker, you’ll need to buy syrup. I was a little surprised that there are no ingredients included, not ever a sample of syrups. 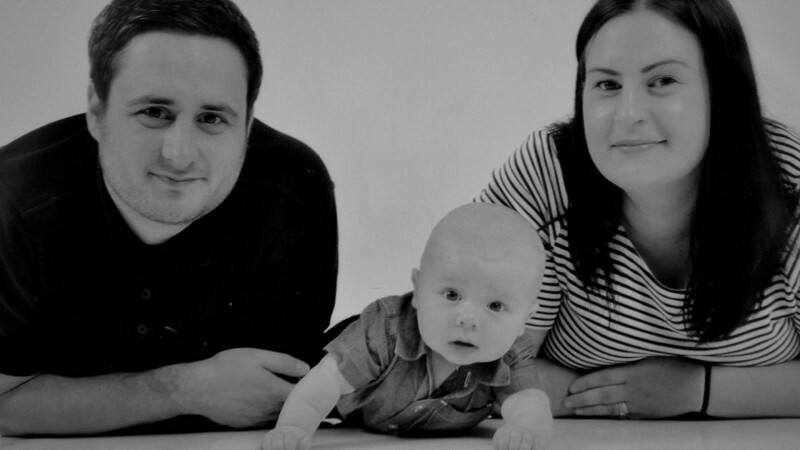 Thankfully, we realised before presenting it to the little man. I picked up a handy little set from Amazon which included two bottles of syrup, some snow cones and some strays with scoops. 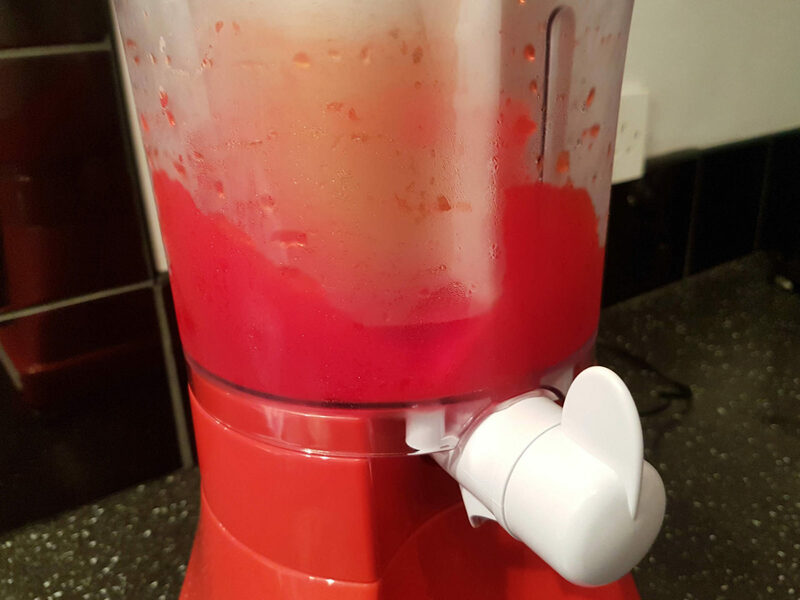 I’ll be honest, creating a decent slush isn’t particularly quick or simple. 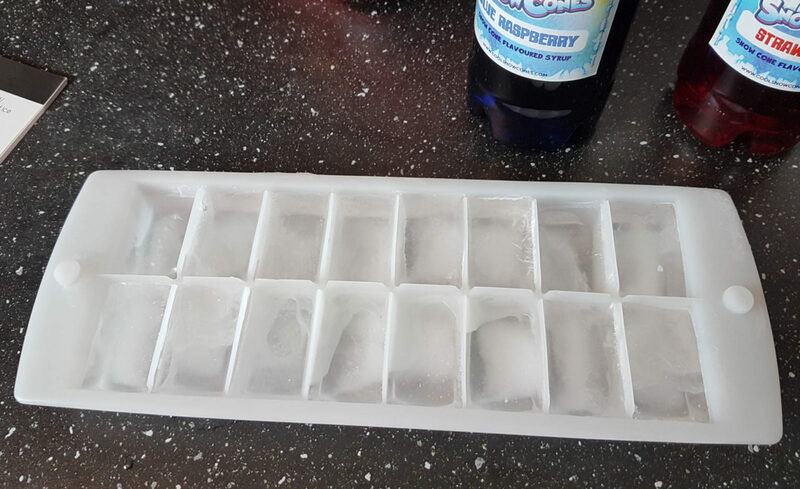 As well as the syrups, you’ll need to ensure you have plenty of ice cubes, some course salt and plenty of time. Before need to create layers of ice and salt within the metal cooling chamber of the Slushie maker. 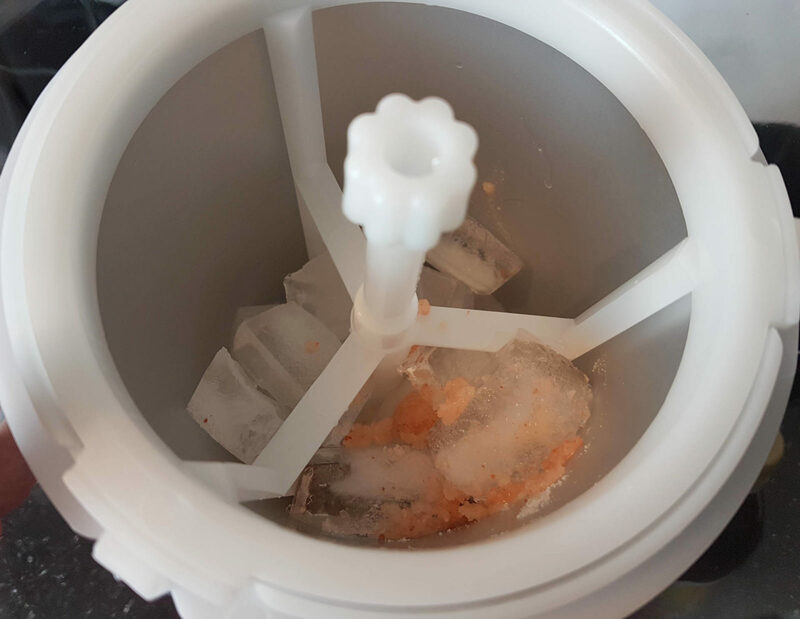 This provides direct freezing action which is what turns the liquid in the outer chamber into ice which creates your slush. 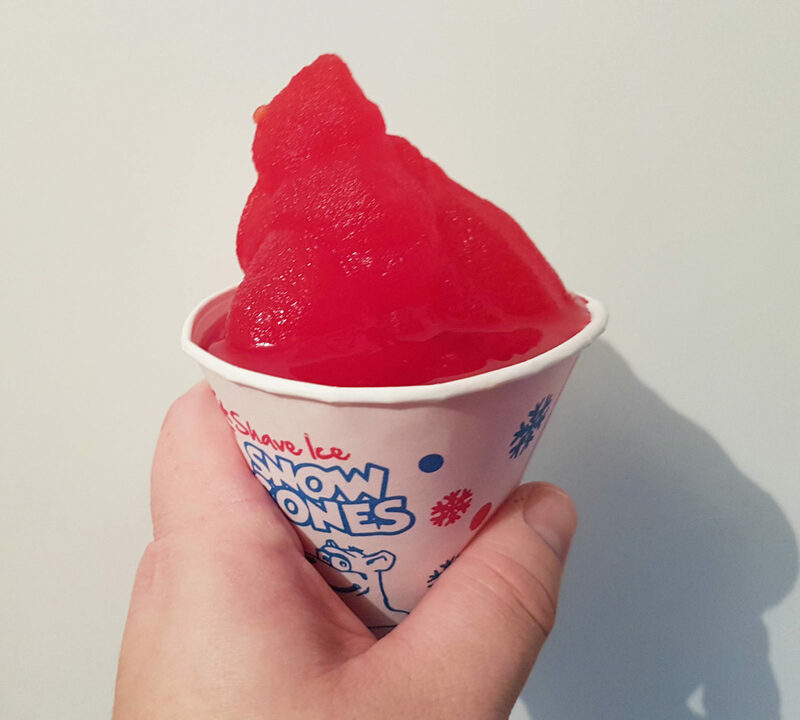 The box suggests you’ll have slush ready in a matter of minutes but in reality, we haven’t managed to get a good consistency in less than 12 minutes. It’s trial and error with both the consistency and the flavour to be honest. 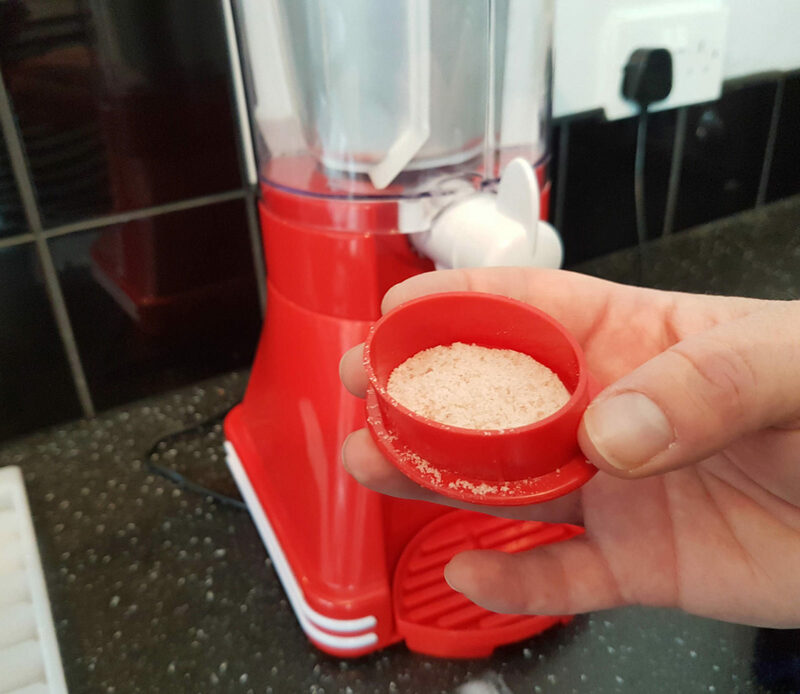 Playing about with the amount of syrup you use and how long you leave the slushie maker running will help you work out the best way to make you slush! 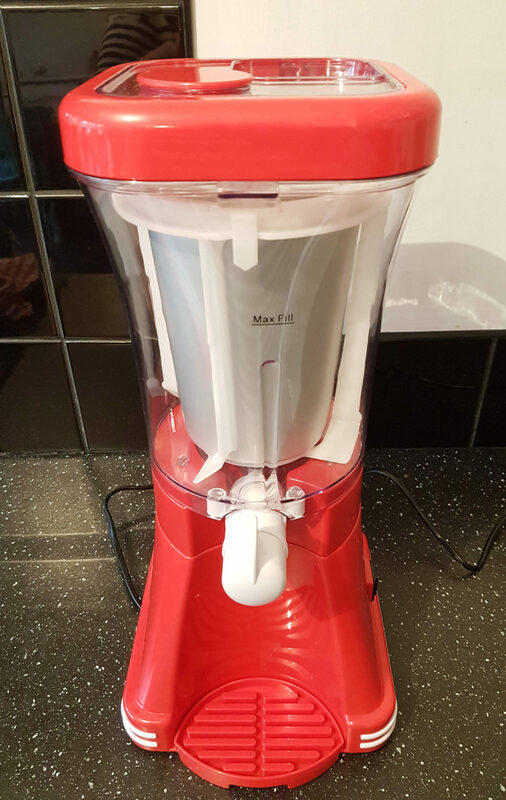 The Slushie maker has been a huge hit since it arrived. The little man loves being able to make his own slush rather than having to wait until we’re out to buy it. I quite like the novelty factor and I’m looking forward to trying it with cocktails when the baby is out but it it is a little time consuming and does take up quite a lot of space. 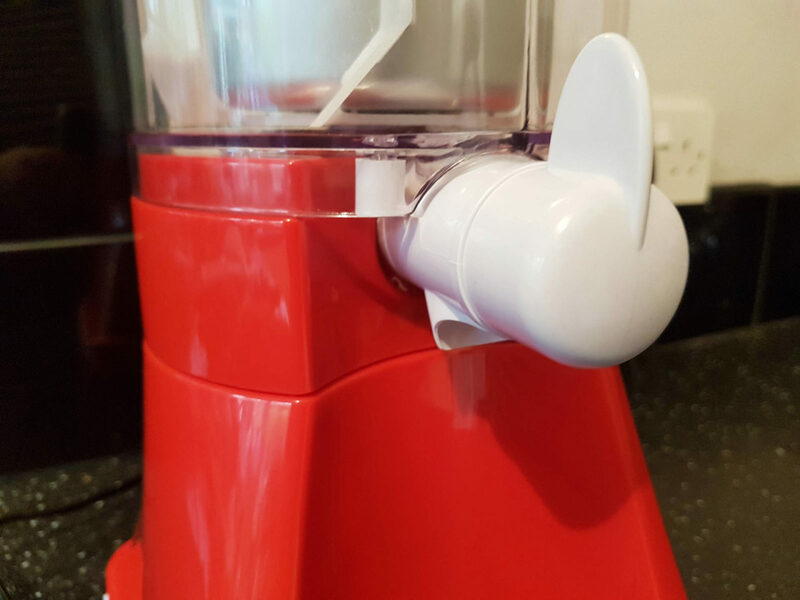 * We were sent the slushie maker in return for an honest review.